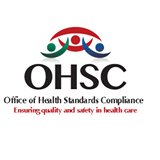 The Minister of Health, Dr Aaron Motsoaledi has recently appointed additional two (2) Ms Sheila Barsel and Ms Keitumetse Mahlangu as new Board Members of the OHSC. The additional appointments bring the total number of Board Members to nine (9). The inauguration date for the new Board members will be announced in due course.